On 7-9 April 2018, around 50 New Zealand Chinese Association (NZCA) members and friends travelled to the Hokianga. 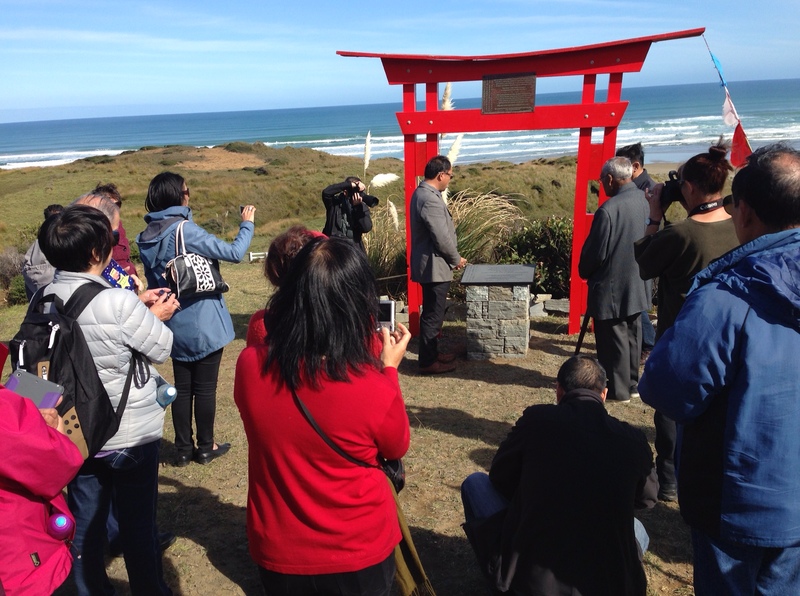 The purpose was to pay respects at Rawene cemetery – the proposed site of the NZCA Ventnor memorial, and at the Ventnor-related sites in Mitimiti and the Waipoua forest. William McKee of Toitū: Otago Settlers Museum & The Dunedin Chinese Garden, travelled with us and put together this beautiful short movie you see above. If you have time, do watch it. It’s such an evocative reflection of a really special journey. Other members of our group have also recorded their reflections of the trip. Check out James To’s personal story on how the quintessential New Zealand “walk on the beach” turned into a spiritual pilgrimage on the Asia New Zealand foundation website. This entry was posted in News, Uncategorized on 29/04/2018 by kirstenwong.